At Konica Minolta, we are committed to providing your business with the very best possible print solution, every time. For this reason, as well as offering our own software (PageScope, Printgroove and Colour Care), we have partnered with some of Australia’s most successful providers to create truly innovative and leading solutions. If your business requires a tailored solution, we will work with the most suitable partner to deliver a solution that meets your exact requirements – and we will manage the whole process from start to finish. Konica Minolta’s PageScope Enterprise Suite consists of five individual software components that offer a comprehensive yet modular approach to the setup, control and management of users, input and output devices, and related network configurations. 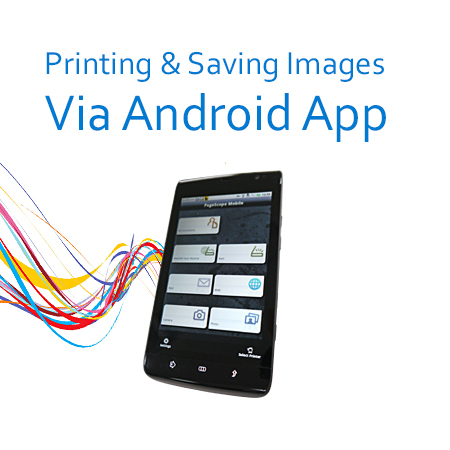 Konica Minolta’s PageScope Mobile for iPhone/iPad and Android is an application that will allow you to easily connect with Konica Minolta printing devices from your iPhone, iPod touch or iPad. It will enable you to print documents and emails as well as import scanned data. BEAR Solutions began providing cost recovery solutions to the Australian education market place and have evolved into an organisation with offices in Sydney, Melbourne, Brisbane and New York. They develop cost recovery, cost management and payment solutions for the education, library and corporate markets. Monitor has earned an outstanding reputation for its high quality cost and expense management solutions. We have spent twenty years developing comprehensive, yet low cost systems to reduce waste and expenditure in printing and copying. We’ve also achieved greater convenience for staff, customers and students. Nuance is a leading provider of speech and imaging solutions for businesses and consumers around the world. Its technologies, applications and services make the user experience more compelling by transforming the way people interact with information and how they create, share and use documents. Nuance has also worked in close partnership with Konica Minolta to provide a branded solution in unityDesktop Professional, a desktop document management solution designed specifically for integration with Konica Minolta bizhub MFPs. Objectif Lune is a global company that provides leading solutions for all aspects of the variable data printing industry. PaperCut provides simple and affordable print management software now used in over 100 countries and 50,000 sites across all markets. Our print control software helps keep track of all your print accounting and print quotas for your business or educational facility. YSoft Corporation is a progressive, globally operating company that provides organisations of all sizes with print management solutions to monitor and control their print environment. YSoft SafeQ supports organisations in rationalising printing costs whilst ensuring the security of sensitive documents. Konica Minolta’s Printgroove gives you a scalable, modular solution for total production control from 24/7 web-based job submission, through automated job ticketing and quoting, to print queue management, online proofing, device status monitoring, finishing, shipping and billing. Konica Minolta Color Care is an efficient application package to define, achieve and maintain product-specific quality standards for any bizhub PRO and bizhub PRESS device. The Konica Minolta Color Care software modules can also be accompanied by professional service, offering precise calibration and regular maintenance for colour production printing environments. Award-winning DirectSmile solutions allow users to implement sophisticated personalisation tasks with ease, efficiency and smooth workflows, and leverage the power of one-to-one-communications across all media. EFI™ is a worldwide provider of products, technology and services leading the transformation of analog to digital imaging. The company’s powerful integrated product portfolio allows users to produce, communicate and share information in an easy and effective way, and enable businesses to increase their profits, productivity, and efficiency. GMG is a leading developer and supplier of high end colour management software solutions. Our customers span a wide range of industries and application areas including advertising agencies, prepress houses, offset, flexo, packaging, digital, and large format printers as well as international gravure printers. Print On-Demand Solutions Group develops high-performance CREO Color Servers and workflow solutions for a wide range of digital production printers and presses. CREO Color Servers offer the digital printing industry leading workflow connectivity solutions. They utilise intelligent, JDF-enabled automation of all print-production steps to help drive business performance and profit. Objectif Lune is a global company provides leading solutions for all aspects of the variable data printing industry. The PrintShop Mail Suite is a standalone variable data printing composition tool, easy to use for beginners with advanced capabilities for experts. It optimises VDP production process by minimizing set-up time and maximizing printing speed.